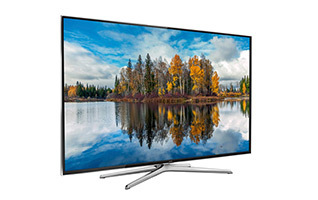 Experience vivid color and dramatic contrast with Samsung LED TVs. Your favorite movies, sports and shows will be more vibrant, dynamic and detailed with Micro Dimming technology, which makes your whites whiter and your blacks deeper. 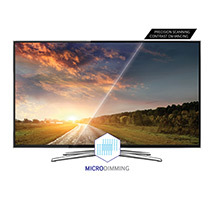 Micro Dimming is an exclusive contrast technology that delivers deeper blacks and brighter whites to create a picture with vivid colors and stunning detail. Enjoy your favorite movies, sports and shows at their best. Enjoy everything you love in one place. 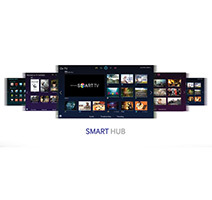 The Smart Hub organizes your entertainment into 5 panels. Effortlessly navigate through live TV, movies, streaming content, social networks, apps plus games and more. Enjoy a new world of apps, including streaming TV and movies, sports, social media, interactive games, weather and more. Connect to what you like, 24/7. 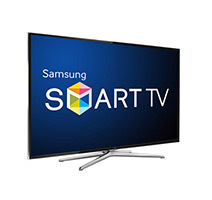 All apps are built specifically for your Smart TV and available from Samsung Apps. 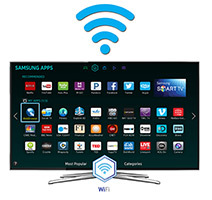 Easily control your TV with Smart Interaction. Voice command lets you talk to the TV to search what's on or to perform basic commands such as "last channel,"� "record"� or "turn off. "� You can also add an acessory camera, which recognizes your hand motions to browse the Smart Hub, play games and more." 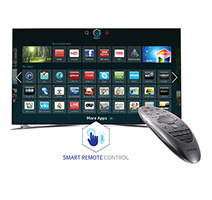 The Smart Touch Remote gives you ultimate control of your Smart TV. 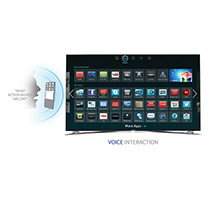 Select TV functions by talking into the built in microphone. You can also use the touchpad to navigate quickly or use the remote like a mouse and simply point and click. 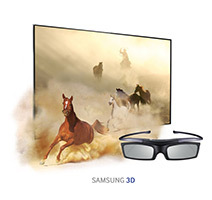 Enjoy full HD 1080p in both 2D and 3D modes with Samsung's active shutter glasses. 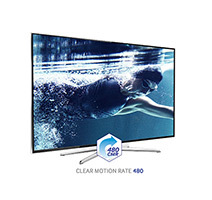 View every detail of action-packed movies and sports with Clear Motion Rate 480, a remarkable level of motion-clarity. 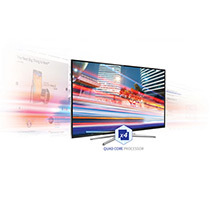 The Samsung CMR uses the frame refresh rate, image processor speed and backlight technology to measure fast action. 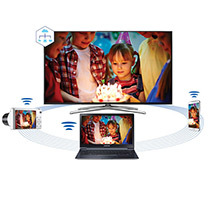 With Wi-Fi built right into your TV, it's easy to connect to your existing wireless network. 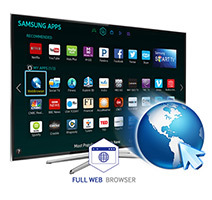 Browse the web and access Samsung Apps or other Smart TV features*. 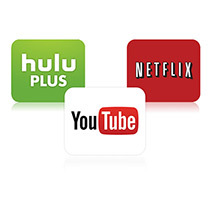 Wi-Fi makes it easy to enjoy all types of content on demand. 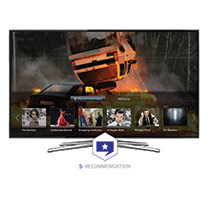 All Samsung 2014 Smart TVs are DIRECTV Ready. 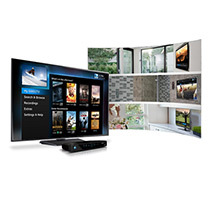 With DIRECTV's Genie Whole-Home HD-DVR, you can enjoy full DIRECTV functionality on up to 8 TVs without any additional receivers. You"ll save energy and space since you won"€Å¾¢t need multiple set-top boxes. With Wide Color Enhancer Plus, you'll witness a wider spectrum of colors on your screen, just like the director intended. 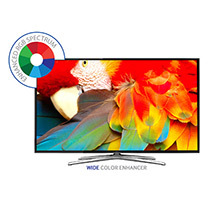 You'll enjoy enriched colors while watching your favorite movies, and shows, even if it's older, non-HD content. 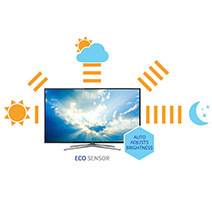 With Eco Sensor, your TV can intelligently adapt its picture according to the intensity of the light in the room. 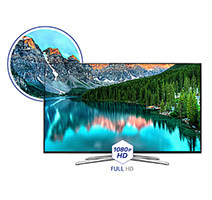 This technology measures the amount of existing light and automatically adjusts the brightness of the image on your TV. 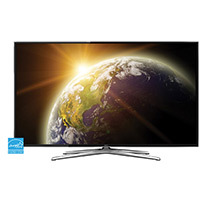 This Samsung TV meets all ENERGY STAR energy-efficiency requirements. This means more energy savings and lower utility bills for you, and a smaller carbon footprint for the environment. See energystar.gov for more information. 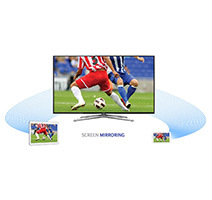 The screen mirroring feature allows you to mirror your phone or other compatible mobile device's screen onto the TVs screen wirelessly. 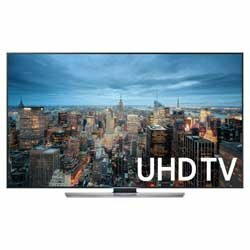 This feature allows you to use your big screen television instead of your device's smaller screen for showing content, media playback, or other function. 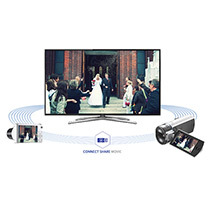 Watch videos, play music or view photos from a USB connection with ConnectShare Movie. 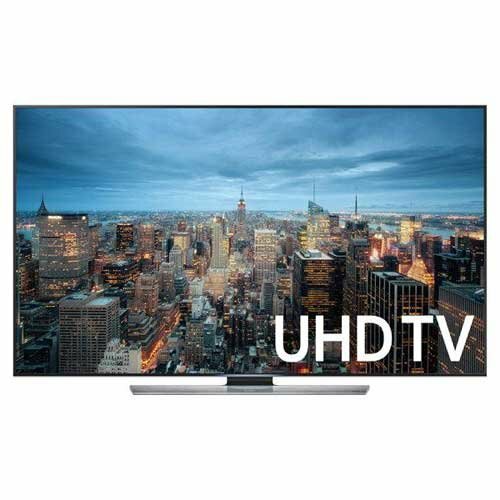 You don't need a PC or special equipment"‚¬�just plug your USB directly into your Samsung TV's USB Port and entertain family and friends. 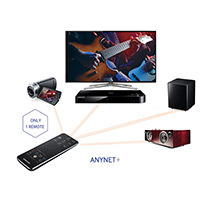 Connect your TV and audio systems for a better HD experience when watching your favorite movies, shows and sports. 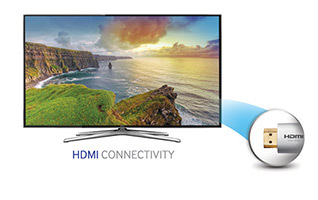 The HDMI connection transmits HD video and audio over a single cable. 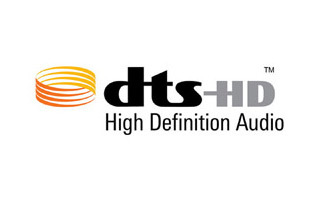 Decoding with DTS Studio Sound processing -Decodes DTS- encoded content, such as TV programming, Blu-ray movies and streaming media, and processes stereo content to deliver an optimized surround sound experience with enhanced bass response, clear dialog and consistent volume levels. Clear Motion Rate (CMR) is a combination of advanced backlighting technology, significant improvements in panel response rates and ultra fast image processing. 44.4" x 25.7" x 2.5"
44.4" x 28.7" x 12.1"
55.7" x 29.1" x 5.5"